My sites were out of commission yesterday afternoon, evening, and part of the night as well. Each outage lasted anywhere from half an hour to a couple of hours, and drove home very clearly this message: I need a web server upgrade. While it was certainly frustrating to see my sites go down, and to see that no matter how much I tuned Apache or MySQL, I couldn’t meet the traffic demands, it’s also encouraging to see that I first outgrew shared hosting plans, then outgrew a small dedicated server, and had to (now) upgrade to a more powerful dedicated server. My site stats show this same trend. Traffic levels have been growing steadily throughout this year and even more in the last few months. October in particular has been rough on my little web server. Yesterday, Google and Yahoo had been indexing my sites, on top of the usual, fairly heavy traffic. I started having serious performance issues during the afternoon, which led to a small outage. Google got done with my sites after that, but Yahoo kept going, and Cuil, the new search engine on the block, joined the party as well. Cuil is known for taxing web servers heavily when it indexes sites, and it was merciless on me last night. It, together with Yahoo, brought my server down and kept it down for close to one and a half hours. I got it back up and re-tuned Apache and MySQL with Chris Johnston‘s help, but at some point during the night, it went down hard, and stayed down. When I woke, I decided enough was enough. It was high time I upgraded. 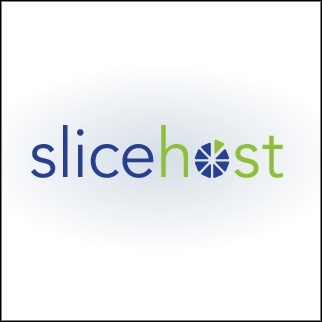 Thanks to my awesome hosting company, SliceHost, I was able to double the specs of my previous server in less than two hours. Before non today, my little web server morphed into a larger, more powerful one that can handle the current traffic levels with ease. We’ll see how long it can keep up before I need to upgrade again. You can help there. I don’t mind at all if I have to upgrade again in the near future, should my traffic levels warrant it. Thank you for sticking around!